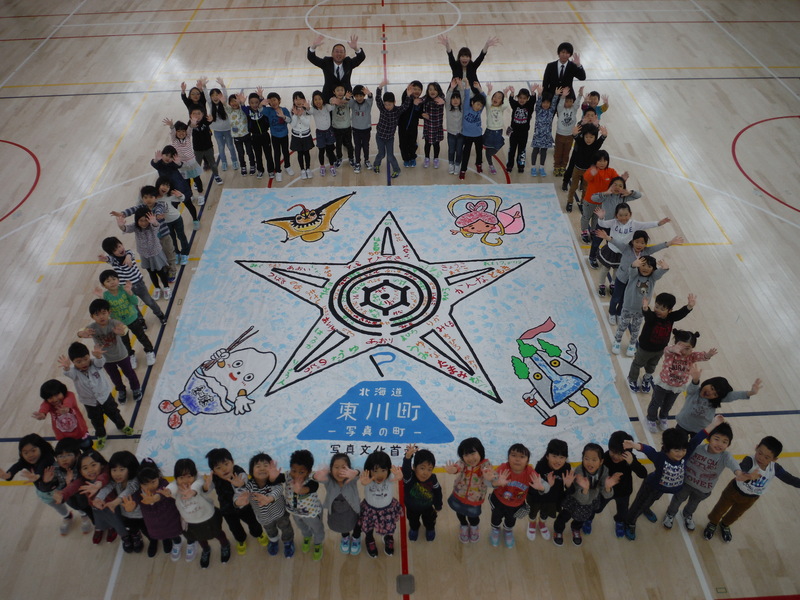 The Biggest Painting in the World 2020 Higashikawa town was completed at Higashikawa Primary School, in Higashikawa town, Hokkaido. Delivered the cloths for the Biggest Painting in the World to Higashikawa Primary School in Higashikawa Town, Hokkaido, who had expressed their participation in the project. 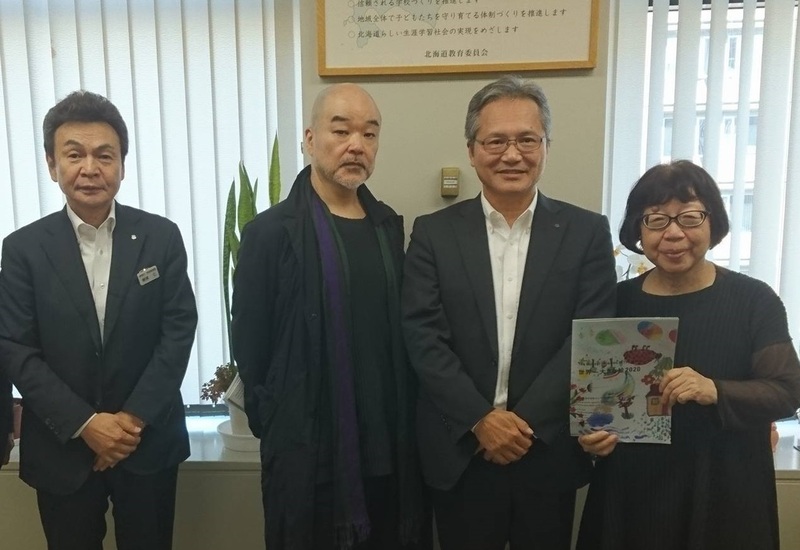 Made a courtesy call to the head of Hokkaido Board of Education and the Supervisor of Public Schooling of Hokkaido Dept. of Education, and had a briefing meeting with 19 municipalities which expressed their participation this academic year at Compulsory Education Section. of Public Schooling Div. of Hokkaido Dept. of Education. Compulsory Education Dept. of Hokkaido Board of Education kindly introduced the Biggest Painting in the World 2020 project to all the municipalities in Hokkaido, out of which 18 municipalities decided their participation in 2016.